No more than one year after the height of the Denver housing market frenzy, prospective buyers have been confronted with a remarkably tight inventory. At the beginning of 2013, there were approximately 7,610 homes for sale in the Denver area; the following year there were 7,094. In comparison, a healthy Denver housing market should contain roughly 17,000 homes for sale. While Denver’s problematic inventory numbers have complicated the market, there has been one upside: appreciation. Denver homes continue to gain value at a rapid rate. “It’s staggering how great the market is,” says Your Castle Real Estate owner Charles Roberts. “There are only three neighborhoods that went down statistically.” The average Denver home gained about 10% in value in 2013 (even six percent is considered a good year), and the end of 2014 looks as if it will be similarly strong. Similar to that of nearly every market across the United States, homes in Denver experienced significant appreciation. Zillow has already predicted a 1.1% increase in home values over the next year. However, few markets appreciated as fast as Denver. Over the last year, homes in Denver were the beneficiary of a 10.4% increase – that is more than twice as much as the national average. Perhaps even more surprisingly, homes have gained an average of $61,100 over the previous seven years, whereas the rest of the nation actually saw a loss of $11,500. It is safe to say that the recent recovery has extended the trend of positive price growth. Of course, the growth of equity is entirely dependent on the purchase price. Therefore, homeowners that purchased in the Denver area for the better part of the decade are presently surprised – all things considered. Those who purchased about nine years ago have seen an incredible return on their investment, as the average Denver home has gained $101,638 in equity. Conversely, the national average over the same period is only $5,043. It is not till five years ago that the national average for equity gain comes close to half of that of the Denver market. Homeowners that purchased five years ago have built up an average of $109,268 in equity, whereas the national average was only $48,225. Despite appreciation, homes purchased in Denver a year ago have managed to establish an average of $34,643 in equity. Price appreciation and principle payments in the last three years have boosted total equity growth since the recession. Fortunately for the Denver housing market, the local economic outlook remains strong. Employment has become a stalwart of the community and is currently trending upwards. Over the course of a year, job growth has experience a 2.7% increase. At that rate, local employment growth is strong and a whole 1.0% higher than the rest of the nation. As the job growth rate would suggest, the unemployment rate in Denver is better than the national average and improving. The percent of delinquent mortgages in Denver Metro is 2.7%, which is lower than the national value of 6.9%. 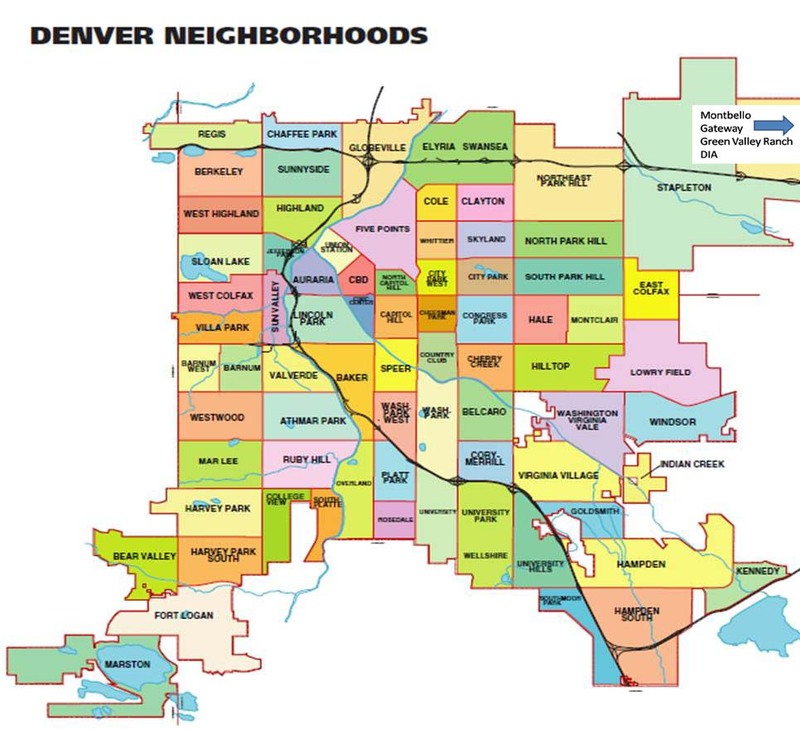 The percent of Denver Metro homeowners underwater on their mortgage is 9.7%, which is lower than Colorado at 12.1%. Despite trends showing a slowdown in the market, many brokers remain confident the market will bounce back in the fourth quarter, and the selling season will remain strong heading into fall and throughout the holidays. Strong neighborhoods, in particular, should support claims of a healthy market. According to Trulia, popular neighborhoods in Denver include Stapleton and Green Valley Ranch, with average listing prices of $412,874 and $234,428.